Two pieces that sold relatively quickly were the Rustic Heart and Wine Bottle hanging. 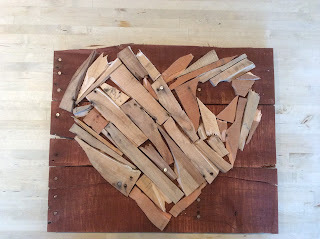 The Rustic Heart was made from scrap pieces of wood I saved as I was doing a variety of projects. It was fun to assemble, much like putting a jigsaw puzzle together. The heart is mounted on salvaged pallet wood that has been stained. 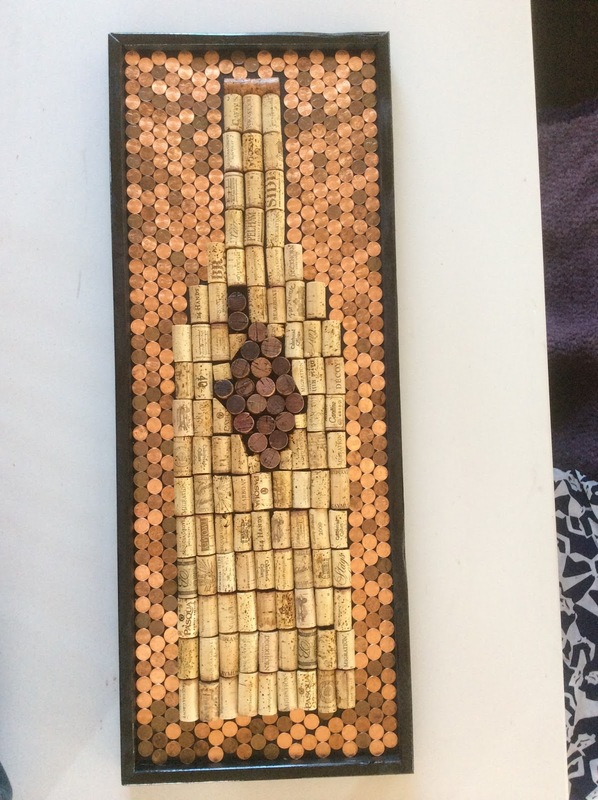 The Wine Bottle is made from old wine corks and then surrounded by pennies... finally a use for all those pennies that piled up in that jar on my dresser. 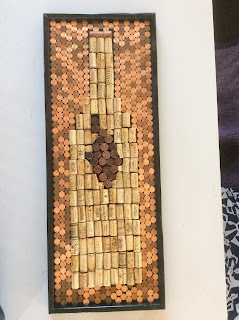 The grapes in the middle of the bottle are simply the end of the wine cork that was inside the bottled, stained by the wine. It's mounted on salvaged wood from other projects and then given a urethane coating.